Fire protection, like most modern necessities, is something most people don’t think about until it’s needed. Even then, it’s expected that firefighters will be there to fight the flames and hopefully save the day. However, in other parts of the world, fire protection is a luxury. Many places, especially towns and villages in underdeveloped countries, lack the resources needed to battle fires. This leaves families and businesses defenseless; just one spark could bring a community to its knees. 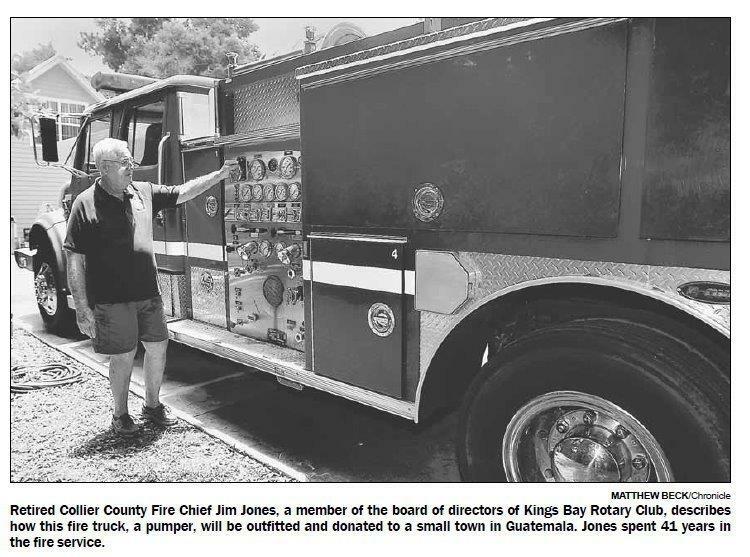 Known for giving back on a local and international level, Kings Bay Rotary stepped up 10 years ago to purchase, outfit and deliver a 1978 fire engine to the firemen in San Fernando, Mexico. 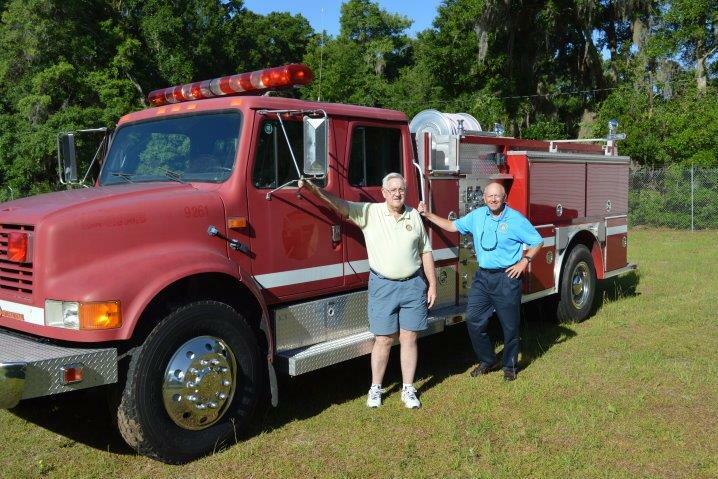 When the unit was put into service, it became the only working fire truck to serve the 57,000 people within the city. 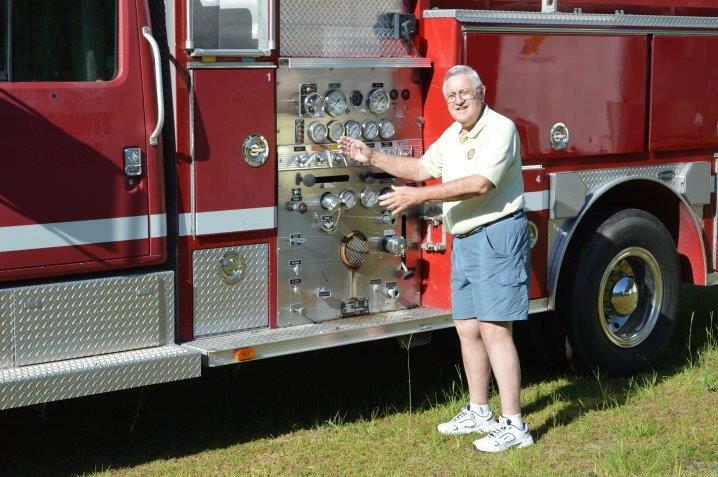 It was a project that ignited something within Kings Bay Rotary member Jim Jones, so for 10 years, the retired fire chief from Naples searched high and low for another fire truck in hopes of starting another international project. 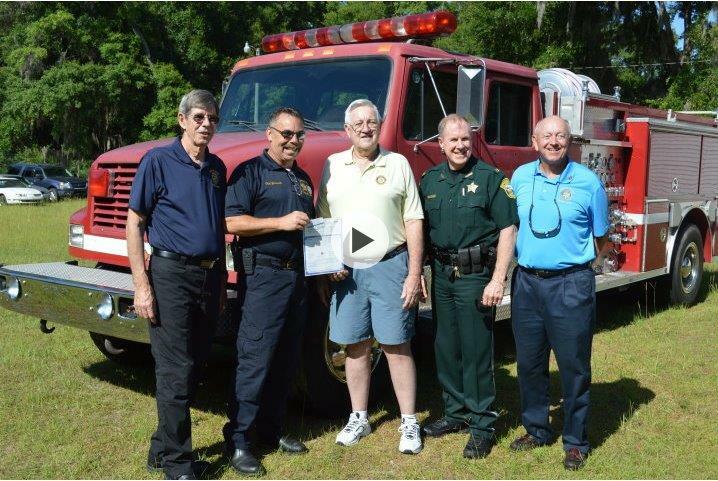 Then a chance meeting with Citrus County Fire Rescue Chief Jim Goodworth gave Jones the break he was looking for. 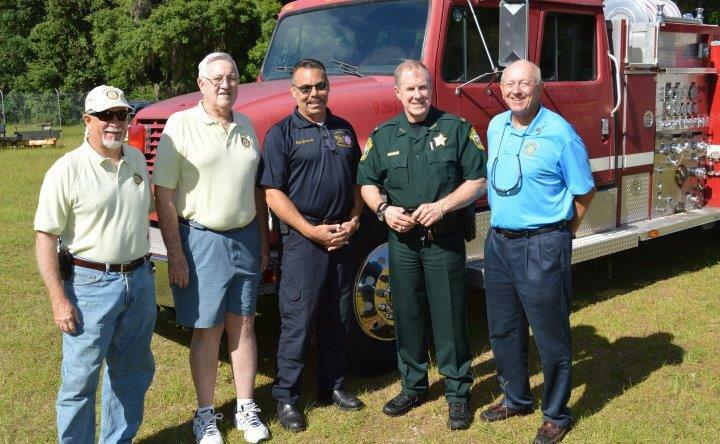 Eighteen months later on May 19, Goodworth, along with Sheriff Jeff Dawsy, awarded a stripped-down 1991 E-One pump engine to King’s Bay Rotary. 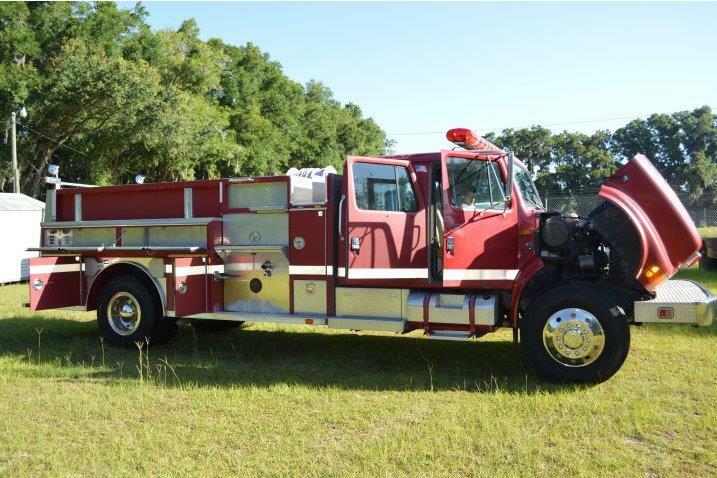 The truck, according to Jones, was built at E-One in Ocala. The plan is to bring the truck back to operational status over the next few months with replacement hoses, bunker gear, caps and nozzles. Jones is heading up the efforts to find surplus donations. “I’ve been in contact with five different fire departments and an equipment company to find equipment to put on the truck,” he said. He is also housing the fire truck at his Crystal River home in the spot his motor home used to sit. Luckily, his neighbors are understanding and realize it’s only temporary. By the fall, Jones hopes to deliver the truck to Los Encuentros or Chupol in Quiché, Guatemala. According to him, the area has a fire station but no fire equipment, which isn’t unusual for that part of the world. Nevertheless, coordinating the transport of a fire engine to a Central American country isn’t without its challenges. Currently, Jones said he isn’t sure how they will get the truck there. At first, he thought about driving the 2,600 miles to Guatemala, but now they may look into shipping it by boat. Facilitating things on the Guatemala side is the Lake Atitlan e-Rotary Club. 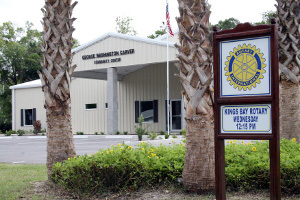 King’s Bay Rotary connected with the Lake Atitlan Rotary club president through Citrus County business owner, past rotary district governor and club president Roger Proffer, who is familiar with the area. Once the truck is ready to go, Jones said they are hoping to send someone familiar with it to educate the local “bomberos,” or firefighters, on how to use it. But right now, they are in the early stages of the worthwhile project. Over the years as a rotary member, Jones has seen how something as small as a fire truck or access to running water — things most Americans take for granted — can change lives. “We’re just so accustomed to what we have, but then you go to places like Mexico or Guatemala and you see that they don’t have that necessity,” Jones said. 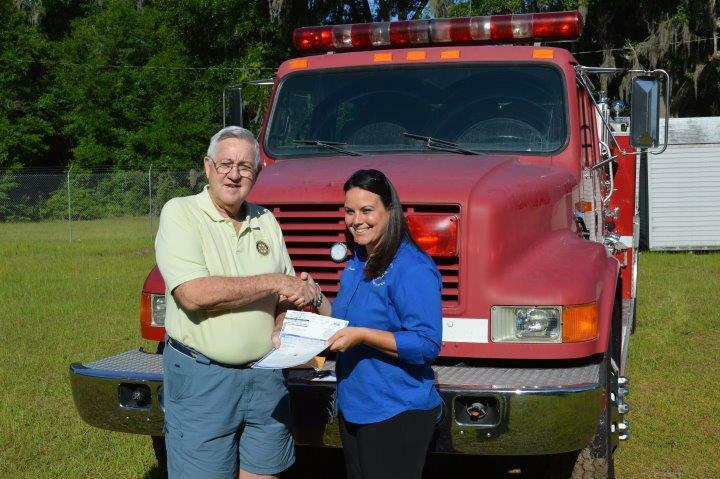 “It’s shouldn’t be a luxury; it’s something these people need.” Word has already reached the firefighters who will benefit from having the fire engine, and Jones said they couldn’t be more thankful. “The Rotary president said the bomberos are very excited and appreciative,” he said. “We have the truck. We know it’s ours. Now we just have to get it down there.